Wait. Is it possible? Did M. Night Shyamalan get his grove back? Has he stopped with the killer plants, director cameos, and twist endings and directed an intense sic-fi thriller? It looks as though it might have happened. AFTER EARTH is his latest directing endeavor. It is set 1000 years after cataclysmic events have forced humans to move from Earth to Nova Prime. A general (Will Smith) comes home from an extended tour of duty to reconnect with his family, especially his son (Jaden Smith). However, their spacecraft gets damaged and crash lands in a dangerous part of Earth where the son must search and find their rescue beacon. Sony is being very smart about not attaching Shyamalan's name to the trailer just yet. I would never know he was the director based solely on the trailer. This might be his redemption from the atrocity that was THE LAST AIRBENDER. I'm keeping my reservations until I see it, but this could either be the biggest surprise of next summer or another notch on the underwhelming popcorn action film. EDIT: This is Javi with my take on this trailer. THEY'RE IN PREHISTORIC EARTH. Look at the sabertooth tiger. This isn't that big of a deal if the movie turns out to be good and is not predicated in M. Night's now-infamous "it's a twist"-type of storytelling. 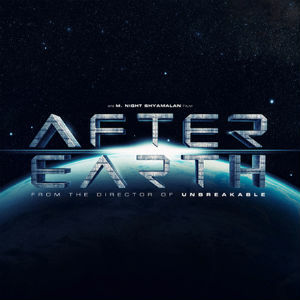 AFTER EARTH will be released on June 7, 2013 directed by M. Night Shyamalan and starring Will Smith and Jaden Smith.